Both of the girls were looking forward to our time in the Netherlands because my mom is from Holland and Laurianna visited there when she was just a little baby. I will have quite a few video links in this post and next weeks post and also share some of the fun things we did ~ including learning a easy Dutch prayer that we are saying at dinner time. It was one that I said growing up, and it's been fun listening to our oldest three say it each night now. The minit books that we are working on are not for a lapbook, but the girls enjoy doing them so we are putting them on a piece of cardstock and adding them to their geography binders. There are quite a few video clips at the end of this post - sorry if the page takes a bit to load for you. 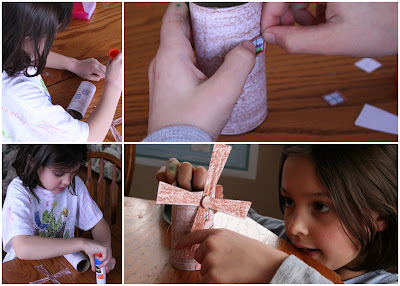 DLTK windmill craft: fairly simple craft using a toilet paper tube to make a windmill. 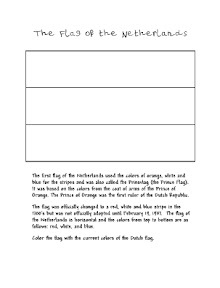 Kids can either color their own or cut out a pre-colored sheet to make one. That is so cool. My dad is Dutch. The most we ever did was call my grandparents Oma and Opa, and read a book about the dykes. I have visited Holland a couple of times, too. But I really like your ideas. Oh, and my husband has taken several business trips and my mom likes to travel internationally, too. My daughter and I have gotten to tag along with my sister-in-law on her work trips twice in the past year (once to Iowa/Wisconsin and once to San Diego) and we'll be going on one of her work trips again this summer when we go to Ireland & Scotland. Thank you much for sharing. 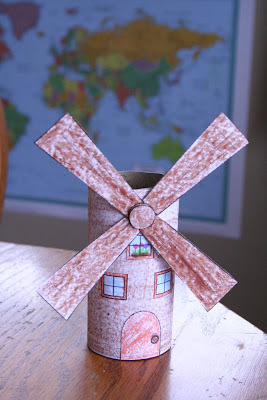 We use Beyond Little Hearts for His Glory curriculum, and we are learning about the Pilgrims travels from England to Holland and then later to America. This is a great supplement to our study.